Well, we’ve had 30 straight days of rain here in Vancouver and a grand total of 8 hours of sunshine since December 19th. The only good news is it looks as though we will be breaking some records. Go Away! One thing this rain is terrible for is depression and SAD (Seasonal Affective Disorder). I am so glad that I am going to be off to Vegas next weekend to play Hold ‘Em in the sun. Also, as if that wasn’t enough to cause massive depression, my 30th birthday is coming up on January 23rd – the most depressing day of the year. To top things off today is Friday the 13th. So here are a few Friday the 13th facts to cheer up gloomy spirits. - Think you are immune? Would you get married, start a job, close a house or fly on Friday the 13th? 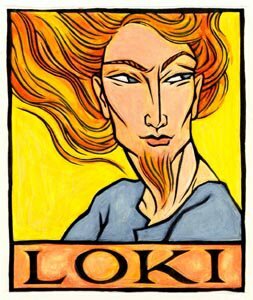 - In Norse mythology, the gods had a feast of 12 but neglected to invite Loki, the god of mischief, who later crashed the party to wreak havoc. - If you have 13 letters in your name, you will have the devil's luck (Jack the Ripper, Charles Manson, Jeffrey Dahmer, Theodore Bundy and Albert De Salvo all have 13 letters in their names). - This I find worrisome – as Mike Catherall (yours truly) also has 13 letters, now that I think about it, so does my girlfriend! My lucky number happens to be 13, and my favourite day is Friday. So I’m not too worried about all the superstition, but if the blog mysteriously ceases come Monday – well….